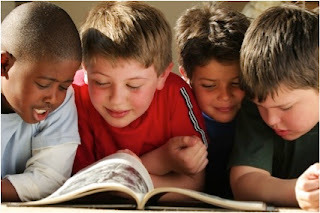 Reading Rewards is a reading incentive program with a little something for all kids. Designed to encourage reluctant readers by rewarding time spent reading in various ways, Reading Rewards also has tools for eager readers who want to share their reading experiences in a fun, safe, online community. As a mom of 3, I created Reading Rewards in an attempt to get my 2 school-aged boys to read more. Since its launch in 2010, I’ve expanded Reading Rewards to include tools for K-12 teachers who want to move away from paper reading logs. Registered users are encouraged to log information about their reading. They capture book details, time spent reading and number of pages read (optional). Parents are then notified via email and are asked to validate the entries. (Teachers can choose to set up accounts that do not require email addresses or parental validations). Once the entries are validated (either by the parents or automatically), children receive ‘RR Miles’ (1 for every minute of reading) which they can redeem in various ways, from viewing a Joke of the Day, a silly Video, or interacting with other members in various games. They can only do these things if they have logged reading time. Kids also earn bonus RR Miles when they go a step further and rate/ review their books, or make recommendations to their friends. 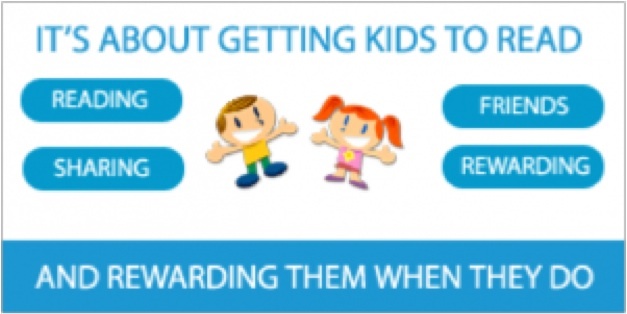 Parents and/or teachers can then add custom rewards to the kids’ RR Stores, which kids can then purchase with their RR Miles. How about a tickle session with dad for 30 RR Miles, or a sleepover in the living room with mom for 1000 RR Miles? We have some great examples of incentives that don’t cost a penny, the key is to make it specific and meaningful for your child. 1. Track kids’ reading and print off progress reports, reading journals or reading logs using any one of our reading log or library templates. 2. Limit TV/Computer/Game console time! Set them up as rewards in the RR Store, and only allow them to watch or play once they’ve redeemed their RR Miles! 3. Get book recommendations from your children's peers. Makes selecting and buying books easier! Do you use reading logs in the classroom? Try Reading Rewards as a way of moving away from all that paper, and getting your students sharing book reviews and recommendations! 1. Use paperless reading logs! Kids track their reading online, and you can view their entries anytime. Parental sign-off optional. 2. Set individual reading targets (and rewards, if desired) for your students, or group targets and rewards. It’s fun for the class to watch their numbers grow, and there is very little you need to do to set it up! 3. Print off detailed reading logs using a variety of different templates. Kids log their reading regularly, and you choose which entries to pull out into customized reports. 4. Set up and share annotated reading lists. 5. Share and discuss any of your reading topics in a mini blog. 6. Compete in weekly mini-games! The more they read, the better their chances of winning. A great reading incentive! I’m so excited to see this community of young readers continue to grow. New users join us daily, and I hope you’ll be one of them! Feedback is welcome, I am always eager to hear from young users, parents or teachers. Happy Reading! Michelle Skamene is a mom of 3 from Montreal, Canada. An IT consultant working in the field of database-driven websites, she started working on Reading Rewards in 2009. She continues to work for various clients, but Reading Rewards is taking up more and more of her time as its user-base continues to grow! Connect with Michelle on Twitter, Facebook or the Reading-Rewards.com blog.